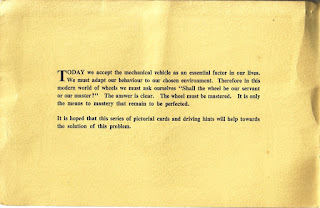 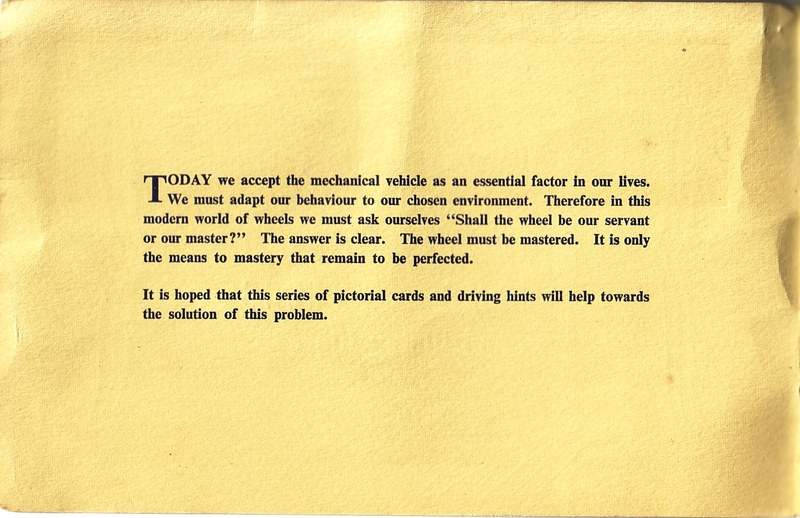 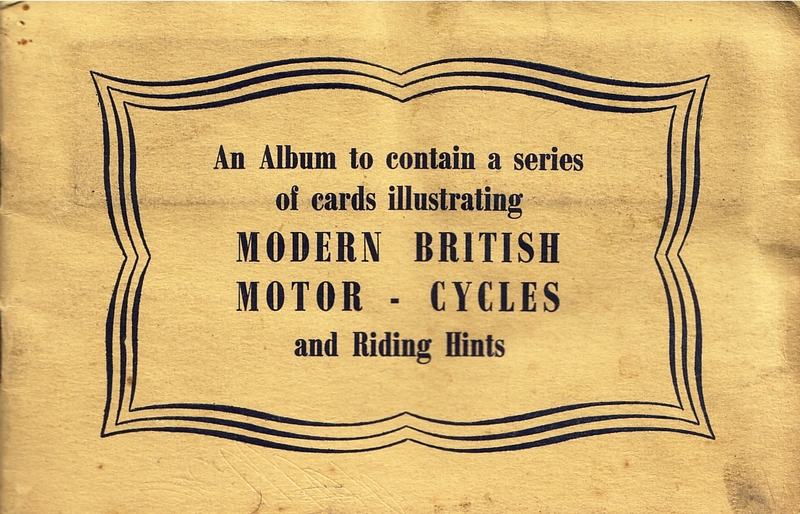 This little album of collectors cards was published in 1953 by ROSPA (The Royal Society for the Prevention of Accidents). 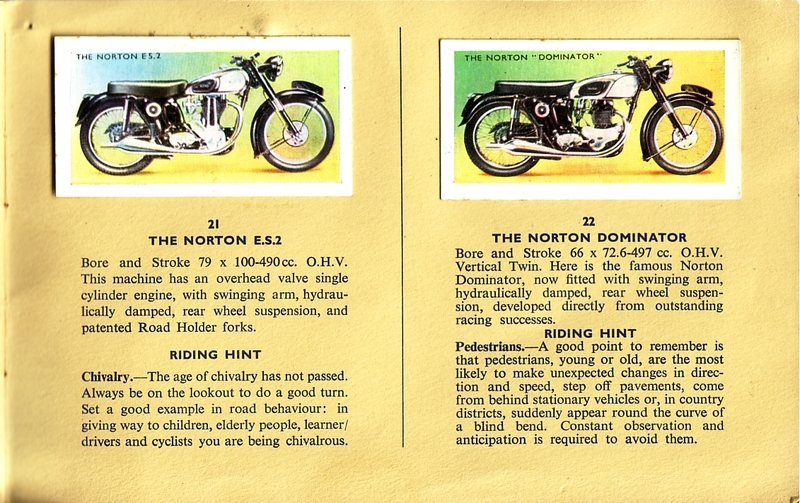 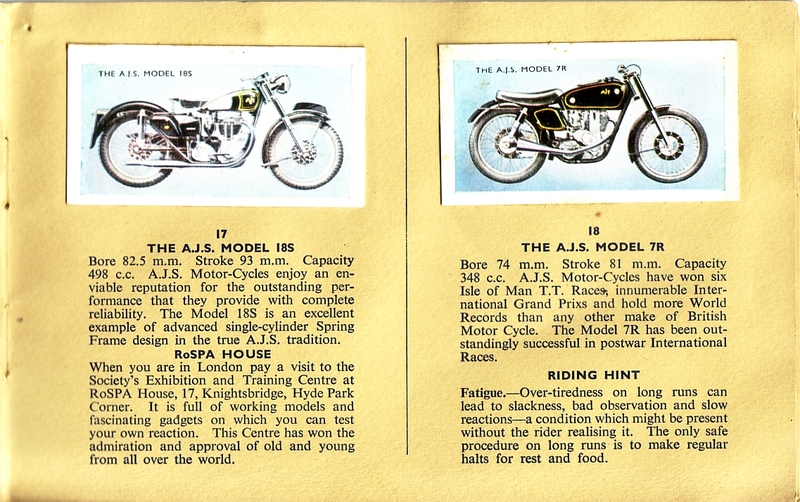 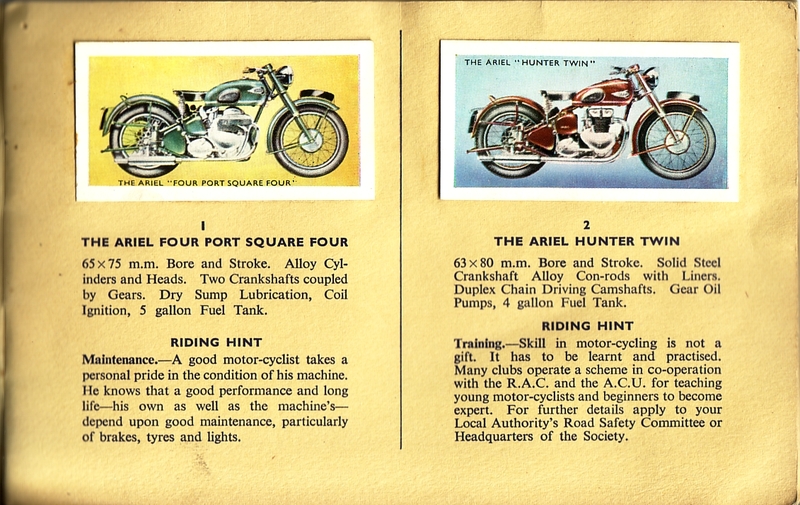 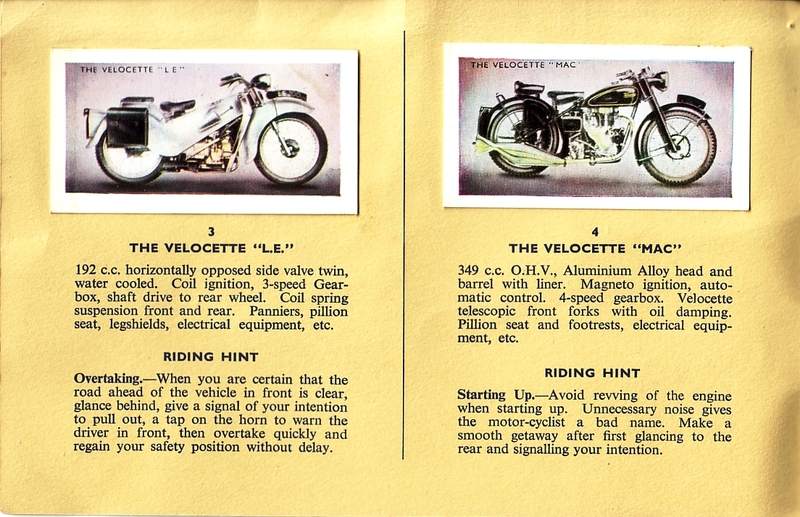 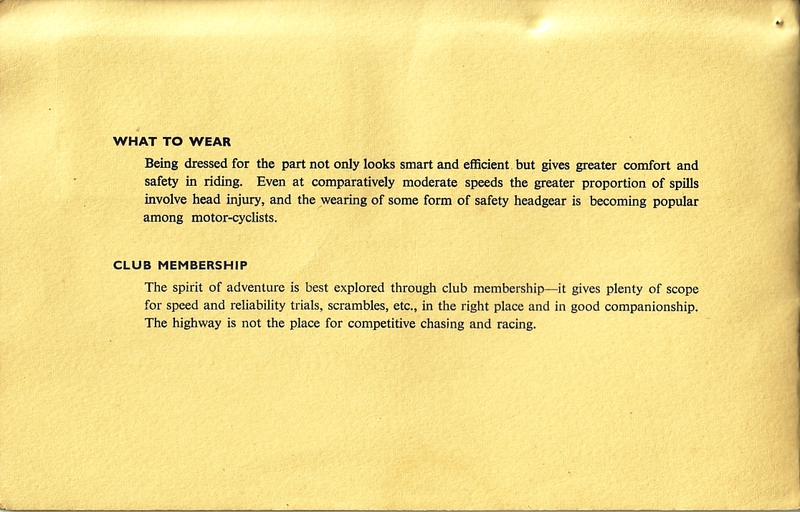 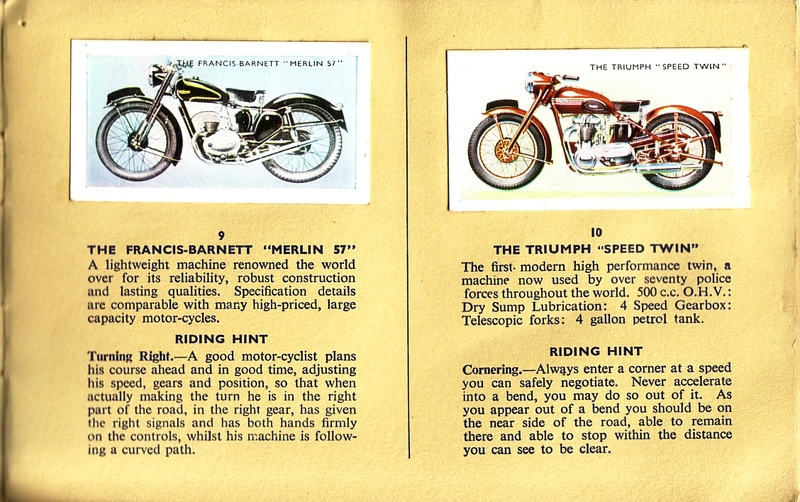 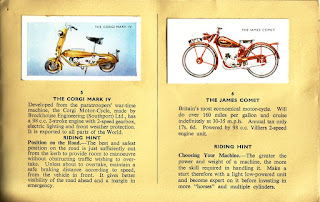 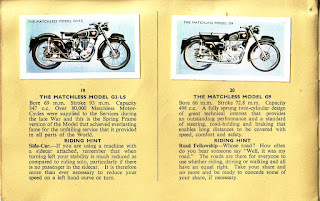 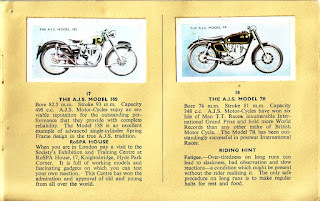 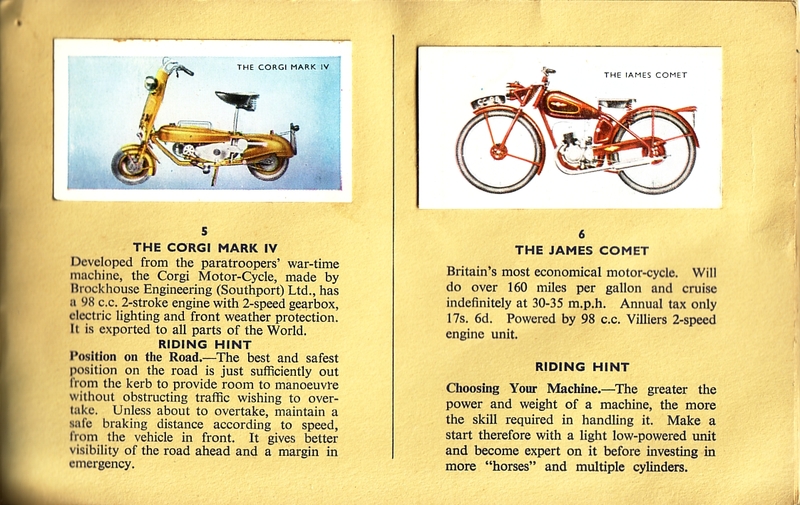 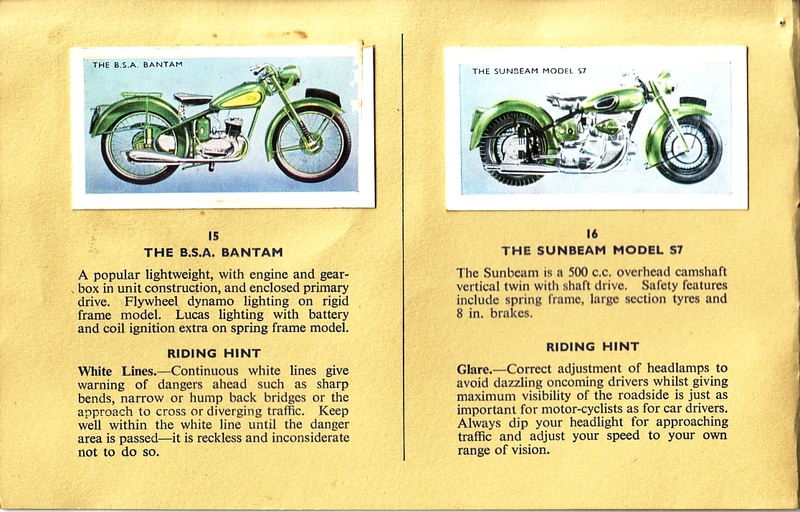 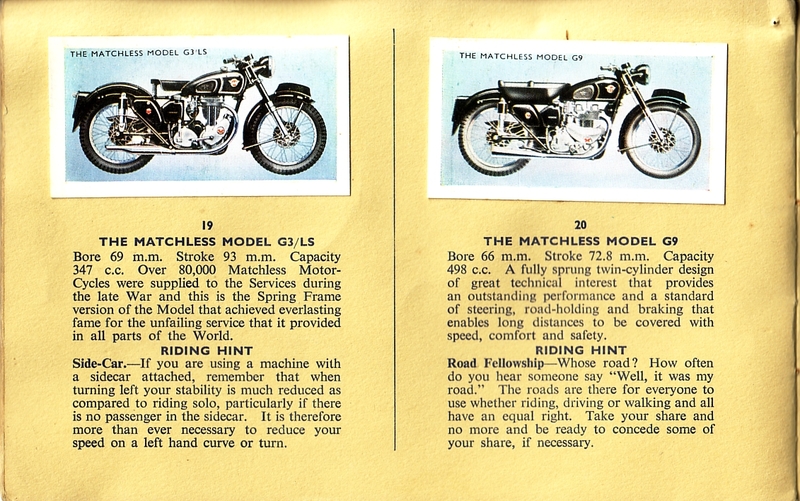 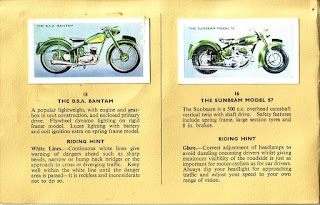 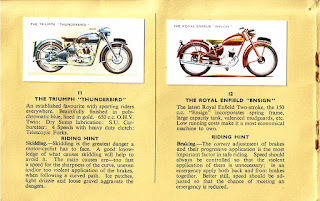 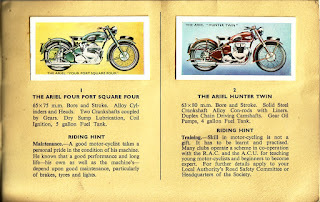 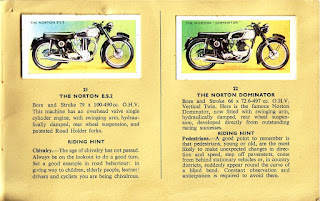 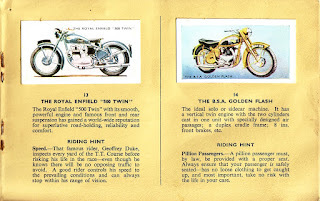 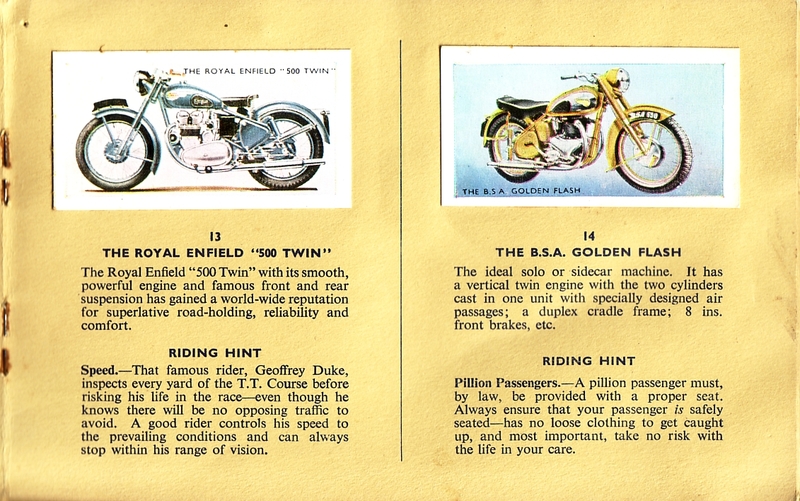 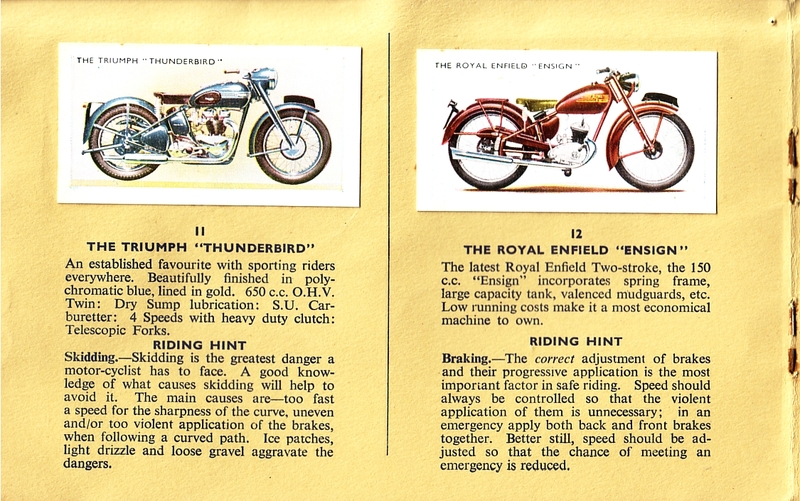 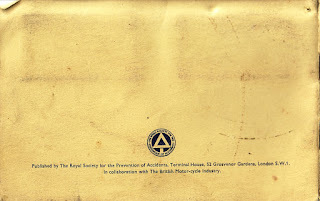 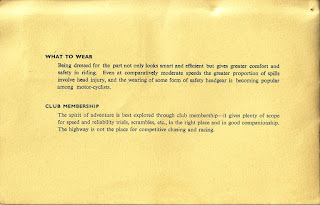 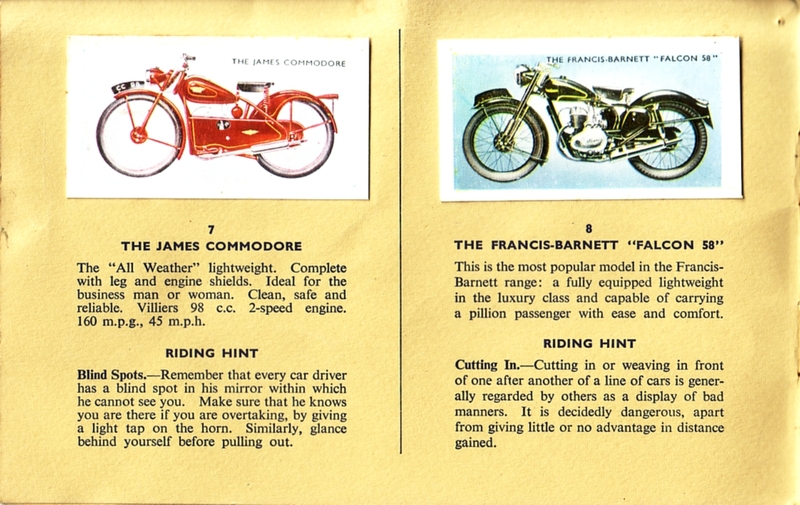 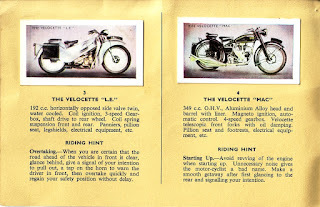 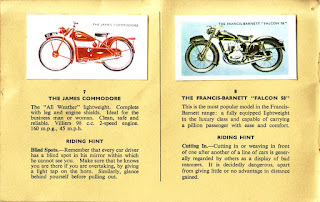 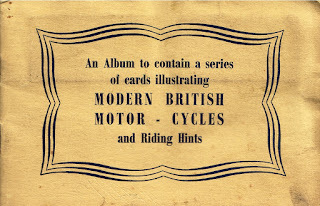 Obviously enough the aim of the album was to impart hints and tips for safe riding; it's a cute little publication though and gives a nice cross-section of the products of the British motorcycle industry at the time. 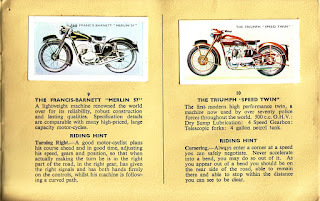 Click on each page to get a larger, better resolution image.